Prickly comfrey is introduced to North America from Europe, where it was originally imported from the Caucasus as a feed plant for pigs, rabbits and goats. 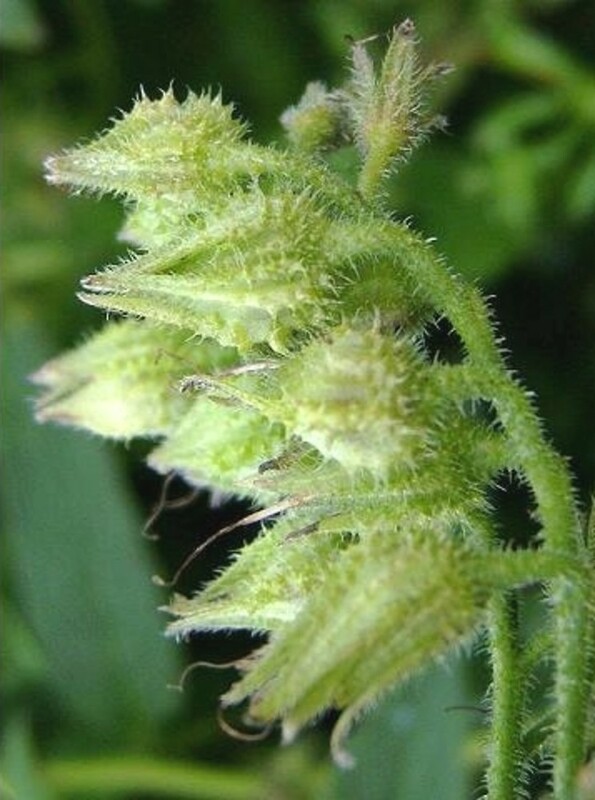 Like common comfrey (Symphytum officinale) it is traditionally used externally as a poultice to help heal wounds and reduce joint inflammation. It contains chemicals toxic to the liver and should not be used internally. root tuberous, enlarged and constricted at intervals, corolla pale yellow, stem usually simple, pubescent with subterete hairs (vs. S. asperum, with root thick, but neither tuberous nor constricted at intervals, corolla pink turning blue, and stem usually branched, pubescent, in part, with stout, basally flattened hairs). 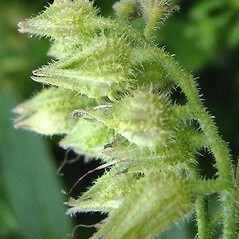 leaves decurrent as wings on the stem and branches, mericarps smooth, and filaments nearly as wide as the anthers (vs. S. apserum, with leaves not decurrent, mericarps tuberculate-roughened, and filaments narrower than the anthers). prickly comfrey. Symphytum asperrimum Donn ex Sims • CT, MA, ME, VT. Roadsides, dumps, fields.